I’m generally not the type fond of big summaries and new year’s resolutions. New Year is rather arbitrary. Life neither stops nor starts there, but coincidentally, this year it’s close to a divide. 2018 has probably been my quietest year, despite a lot of things going on in the background. Partially written a companion book to the Witchhunter series that will have a subset of the above background work. It’s going to be a “pseudo book” written and assembled by one of the PoV characters. Written a few short-stories, bound to end up in Open Mind – Book 2. Wrote the first sketches of a short film named Leaf. Publish Witchhunter – Black Shadow early February. Publish Three around summer, and related scripts by the end of the year. Publish Open Mind – Book 2 around Christmas. Exhibit again and present at UKIndie Lit Fest. It has been named one of the Top5 UK Literary Festivals. Last year I missed the event by a couple of days, but this year I’m attending. I will have a table, a handful of books and custom Witchhunter bookmarks that should arrive from print this week. 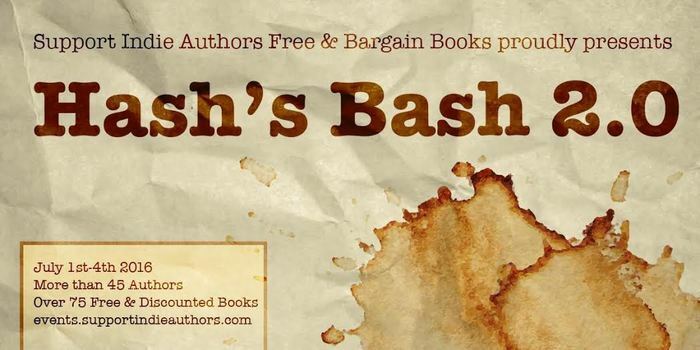 Looking forward to meet readers, existing and aspiring authors. The blog chat will be enabled during the day and I might post a few pictures. I just published a page about science fiction styles and how I prefer to tag them. Do you agree? Have a different view or another approach in this matter? Please share your view! You’ve never looked at science fiction stories and universes this way? Has this helped you better understand any of them or got a new view? Eager to hear about it. A little late because of ‘life’, but here is a link to a podcast by Amanda Steel, featuring The Withhunter: Red Shadow. The podcast features three books. All have some paranormal content. From July 1 to July 4 we are going to have the latest ‘free or cheap’ book event. It is our (#SIAFBB) first anniversary and over 75 books participate. Come and check the list of books on the above link. They change day-to-day in this period. Books are of all genres. You can be pretty sure to find at least on to your liking. Today is a big day. I started writing the second book of The Witchhunter trilogy, titled Black Shadow. In the first book, the Witchhunter had to face the witch who is connected to his past and opens his eyes. He had to face the Red Shadow, as other witches often call her. In the second book, Conley is back in the Real World and has cope with someone more difficult to face. Himself, the Black Shadow. One of his many names from the witches. He decides to investigate and find out as much as possible about the witches (he thought he knew well) and the Other World (he just visited). Meanwhile, the witches are more desperate deciding to cooperate and take their chances with a more open hunt for the hunter. First beta reads expected around August-September.